Getting older can host a variety of health concerns and ailments. As you age, it's important to maintain your body with proper nutrients and vitamins. 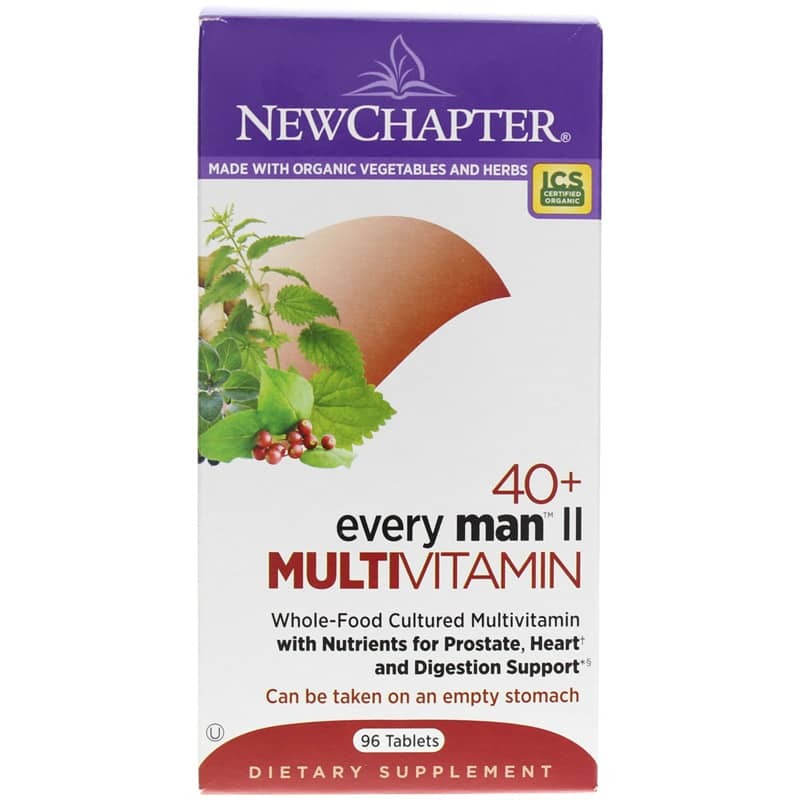 New Chapter Organics offers a multivitamin that targets men age 40 and older. 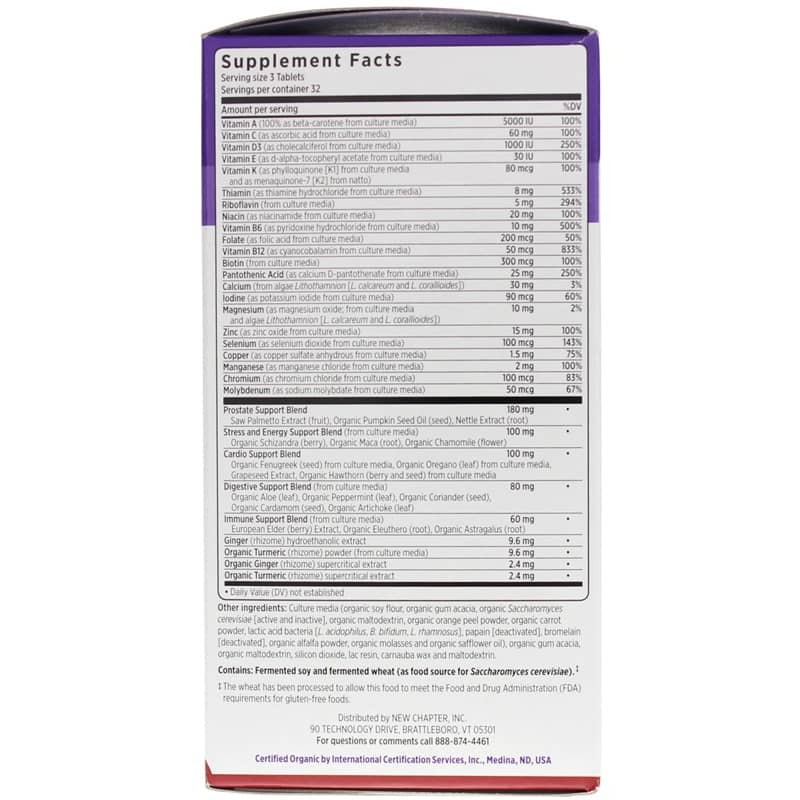 This supplement 40+ Every Man II is an organic, whole-food supplement with a unique blend of vitamins, minerals, and herbs. 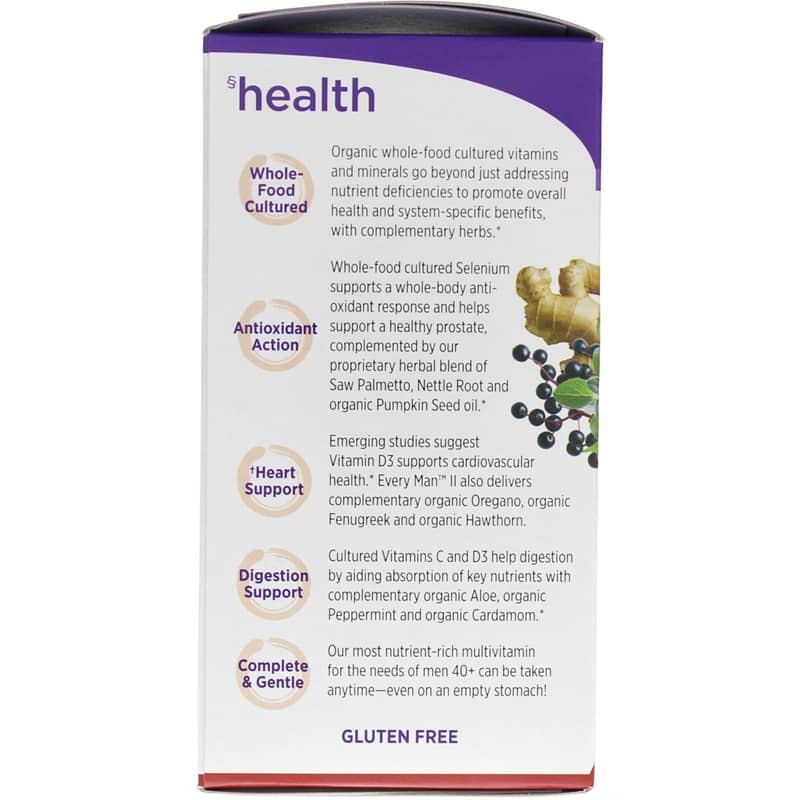 It is formulated to promote a healthy prostate, digestive system, heart, immune health and stress support. Multivitamins are great for filling nutritional gaps with essential vitamins and minerals. Cultured Whole Food: Organic herbs and cultured whole-food vitamins and minerals work together to promote optimal health and condition-specific benefits - not just address nutrient deficiencies. Prostate Health: Features saw palmetto, nettle root, and pumpkin seed oil work together to support overall prostate health and normal urine flow. Heart and Eye Health: Whole foods and organic oregano helps provide support for heart and vision function. Stress and Energy Support: Energizing herbs including organic maca and organic schizandra provide stress support and promote dynamic energy levels. 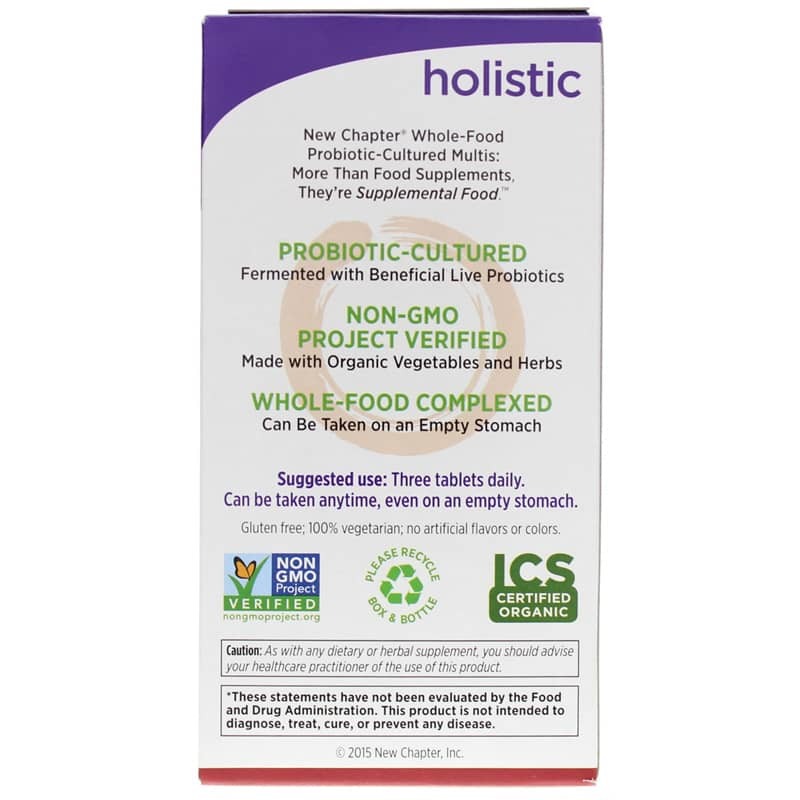 Immune Health: Revered herbs including organic elderberry and organic astragalus and Whole-Food Vitamins C and D3 support immune system function. This convenient multivitamin can be taken 3 times a day. It's easy to digest and can even be taken on an empty stomach. Promote your health with 40+ Every Man II multivitamins. Other Ingredients: Culture media (organic soy flour, organic gum acacia, organic Saccharomyces cerevisiae [active and inactive], organic maltodextrin, organic orange peel powder, organic carrot powder, lactic acid bacteria [L. acidophilus, B. bifidum, L. rhamnosus], papain [deactivated], bromelain [deactivated], organic alfalfa powder, organic molasses and organic safflower oil), organic gum acacia, organic maltodextrin, silicon dioxide, lac resin, carnauba wax and maltodextrin. Adults: Take three tablet daily. Can be taken anytime, even on an empty stomach. Very competitive prices. Good service on delivery. Would recommend to a friend.